Masterplans are the result of a multi-step process: an initial consultation to discuss what’s desired and possible; the preparation of conceptual plans that outline some possible ways of achieving the preferred results; refinement of ideas and the completion of a detailed plan that can be shared with contractors for estimates; installation and a follow-up walk-through, concluding with a maintenance program review. All or only some of these steps might be necessary or desired. A tailor-made package of services can be arranged. 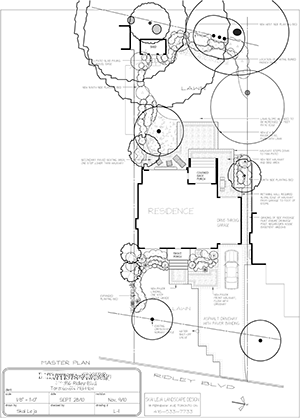 Masterplans are typically needed for larger projects and for any work that will involve contractors. They are also very helpful in the development of larger gardens that are to be implemented in stages, to define an overarching vision as a guide to incremental progress. Minor projects or smaller areas that need redesign or new layout and plant suggestions can often be accommodated during on-site consultations. These are also useful to discuss simple curb appeal enhancements or to request plant pruning or maintenance advice. I enjoy providing ongoing garden mentoring and coaching; pruning or maintenance tutorials are a useful gift to novice gardeners! 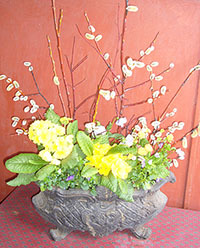 Annual planter design and balcony design are also part of my service offerings.